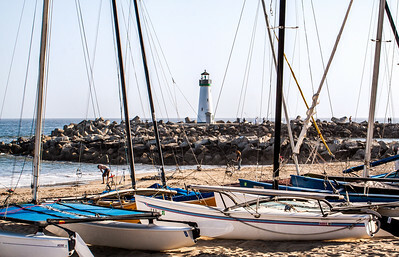 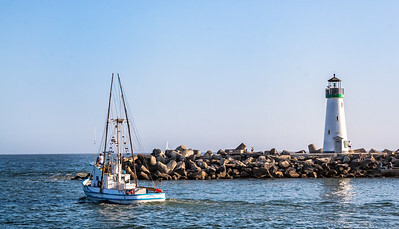 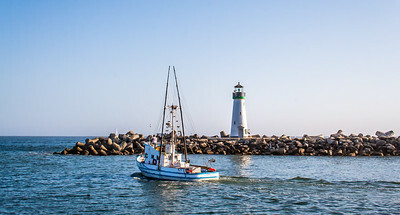 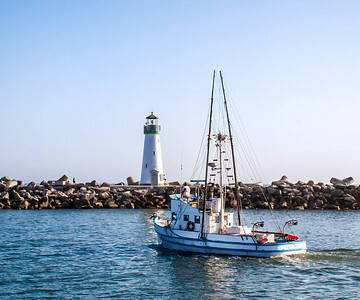 A fishing boat leaves the Santa Cruz Harbor, near the Walton Lighthouse. 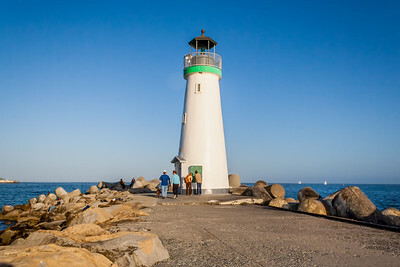 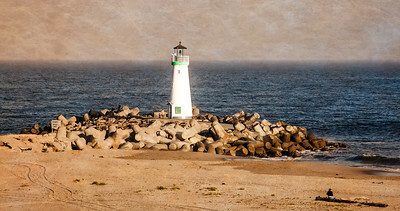 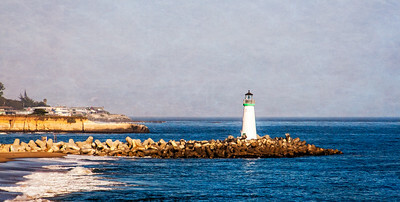 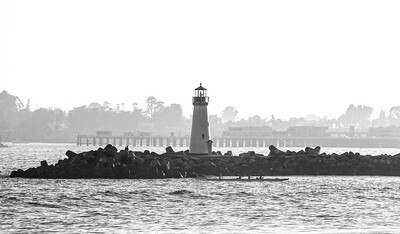 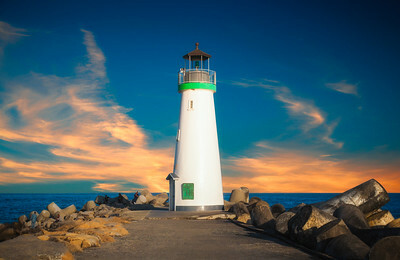 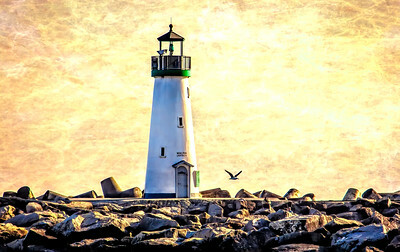 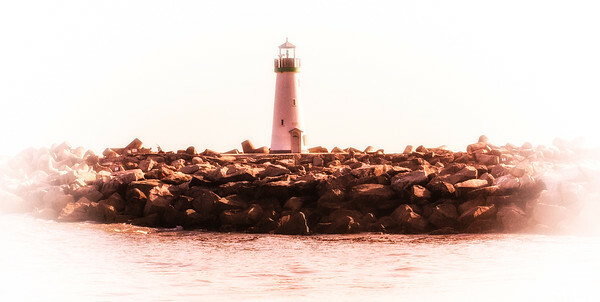 The Walton Lighthouse guards the entrance to the Santa Cruz harbor in California. 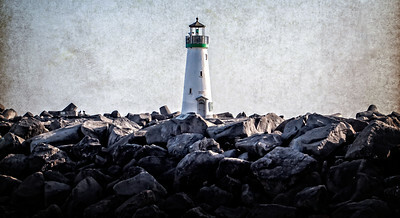 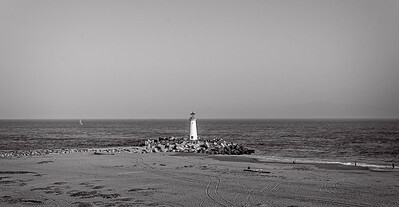 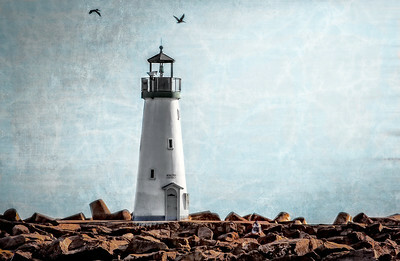 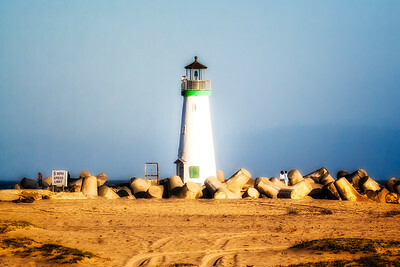 The Walton Lighthouse in Santa Cruz, California.